Since I'm starting my positive thinking and trying to look after myself that little bit more, I thought I would continue that outlook onto my hair as well. I've already started myself on hair vitamins and the Tresemmé 7 Day Heat Treatment (post coming soon!) so my hair was already starting to look better but there was however some days when I would wake up in the mornings and my hair would be so dry and lifeless. Urgh! 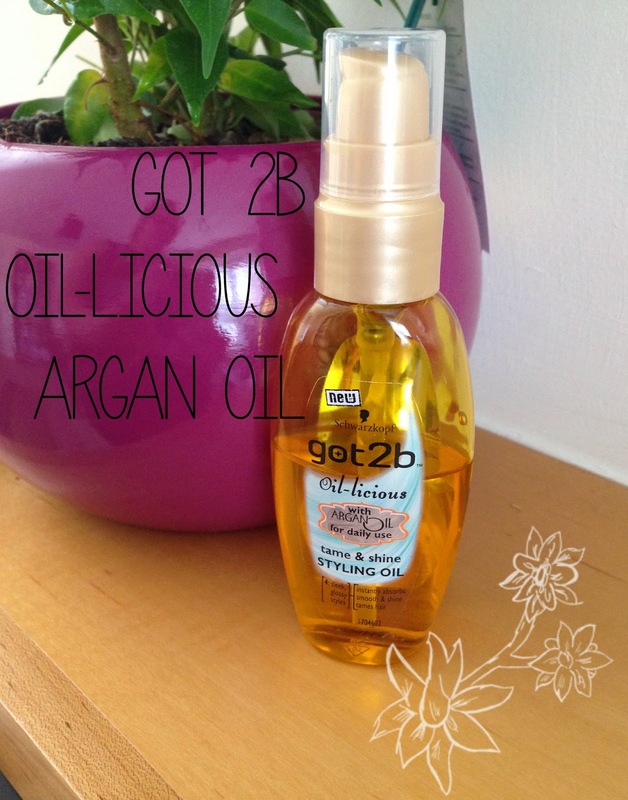 Originally I was planning on picking up some serum as it's helped me out a lot in the past but on one of my recent visits to Superdrug, I saw the Got2b Oil-licious Argan Oil Styling Oil and I was intrigued! I've used the Got2b range before and although I liked them, I wouldn't exactly start shouting from the rooftops about them but since this product contained my beloved Argan Oil, I put my past experiences aside and brought it anyway. Lucky for me, it was also on offer for £2.66 instead of the usual £3.99 so even if it didn't work, I wouldn't have wasted much money! On the packaging, it says you can apply this product on wet or dry hair but since I already have a good leave-in conditioner for when my hair is wet, I thought I would give it try the day after washing when my hair has normally started to dry out. 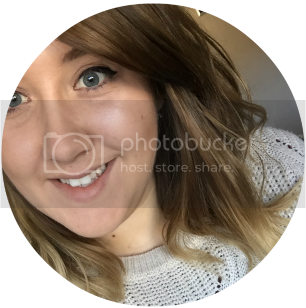 As you can see from the pictures, I loved it that much I've already used nearly half of the bottle before I even managed to blog about it! Ignore my ugly work shirt! As you can see my hair is very frizzy and dry looking in the first picture but after applying about 2 pumps of the the oil, my hair looked a lot smoother and silkier. It was very soft to touch and it didn't leave my hair with that horrible greasy feeling. The formula was really lightweight and lasted throughout the day and I honestly couldn't have asked for more from a product! The pictures speak for themselves! I definitely would buy this again as it's made such a massive difference to my hair and it's not exactly going to break the bank at £3.99! Got2b also a conditioning mist that sounds very similar to this oil so I may be tempted to give this a go in the future as well! You can pick yourself one up from Boots or Superdrug for around £4 (Boots slightly more expensive) for a 50ml bottle!